A lot of potential GMAT test-takers sometimes ask us about the benefits of one-on-one private GMAT tutoring over the other, more traditional methods. As these questions become more and more frequent, they have outgrown what could have been answered by a simple FAQ. This post helps to highlight what we feel are the advantages of studying in a 1 on 1 GMAT tutoring environment (and a couple of caveats too). Advantage 1: 1 on 1 GMAT tutoring caters to YOUR needs. It is simply more customized. Sometimes GMAT test-takers are looking for more than a GMAT tutoring program that can help them to understand concepts and apply them. Perhaps math is not your strong point. Maybe you struggle in evaluating logic. Or your reading speed is unusually slow. These learning needs require more than the focus that a typical GMAT tutoring program (that is usually done in a class in a batch of 5+ students – some even do as many as 20 in a class!) can provide. One on one GMAT tutoring can help address these specific learning needs much better. GMAT re-takers tend to have specific areas of weakness. Rather than spending the (often limited as the retake is often weeks away) time and energy that you have into re-doing all the concepts involved for the test, you should follow a more focused approach. Just going through the Official Guide for GMAT Review again will not help. A 1 on 1 GMAT tutoring program can help to diagnose specific weakness areas and help you master those, directly contributing to an increased score. Sometimes it will even help to surface issues you did not even know you had. Most people who take the GMAT also have full-time jobs to manage. Work schedules and office hours have a way of flowing over when you can least afford them to. 1 on 1 GMAT tutoring can help to create a schedule that adheres to your specific time and schedule requirements. For example, our 1 on 1 GMAT coaching program is completely flexible, allowing applicants to schedule classes even at extremely short notice. That is the whole point of a customized program – it should allow you to focus on the studying, not on managing schedules. At the same time, there are also a couple of caveats to keep in mind before selecting a 1-on-1 GMAT coaching program. Think about it. Paying about 40-50% more for personalized one-on-one classes probably makes sense. Yet, very often, 1 on 1 GMAT coaching programs charge much more than that, making the whole value proposition unaffordable to the test-taker. This is why we at GyanOne believe that great quality must also come at a great price. Our one on one GMAT coaching offering is offered at the SAME price as our batch program (which are ridiculously low too – for the same reason). With us, you are assured that price is never an impediment. Contact us today to know more. This can unfortunately be true sometimes. As a student, it is your responsibility to ensure that the person who will teach you is capable and knows his/her stuff. The best way to verify quality is through a demo class! Ask for one – any teacher who is sure of himself/herself will not shy away from offering it to a serious test-taker. GyanOne offers a free demo class for its 1 on 1 GMAT tutoring program to help students gauge the quality of teaching first-hand. Hopefully, these points will help aspiring GMAT takers to make a more informed decision when comparing 1 on 1 GMAT learning options with others, and also help them to select a 1 on 1 program that works for them. @Sulochana: Yes, we offer 1on1 GMAT classes in person in Delhi and NCR. In terms of the background of our teachers, each one has a GMAT score of at least 770 and is a top MBA graduate. Can I take only classes for Sentence Correction? 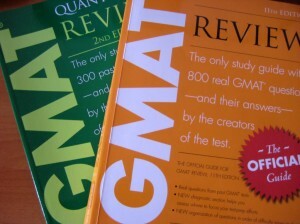 Do you offer 1 on 1 GMAT classes online? @Nidhi: Yes, you can take classes only on the topic areas that you would like to. The classes can also be taken online. I took my GMAT first time in 2013 and got only 640. I now want to increase this to 700 to apply to ISB. Your offering sounds like just what I am looking for. Have sent you an email also just now. Shantanu, we have received your email. Yes, a 700+ will stand you in good stead at many more programs than a 640 will. It will also increase your chances of getting a scholarship. We have received your email and have mailed you back separately. Ashok, raising your verbal score by 5+ points will be a combination of carefully analyzing your GMAT prep so far and your areas of improvement. However, our 1-on-1 GMAT program can definitely help you get there, and we have done the same for many other test-takers in a similar position.